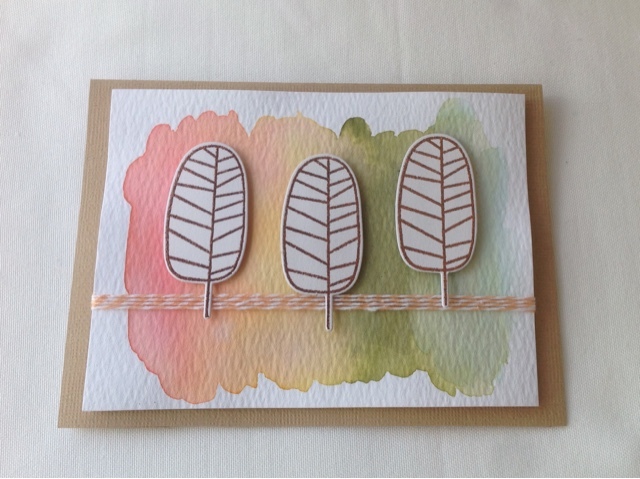 made with distress markers for the background and the Simon Says Stamp One with Nature tree in the foreground, embossed in bronze. I really need to get a better setup for taking photos! What a wonderful card!! The background colors are great! Your bg is fabulous and I love that you left the leaves uncolored.